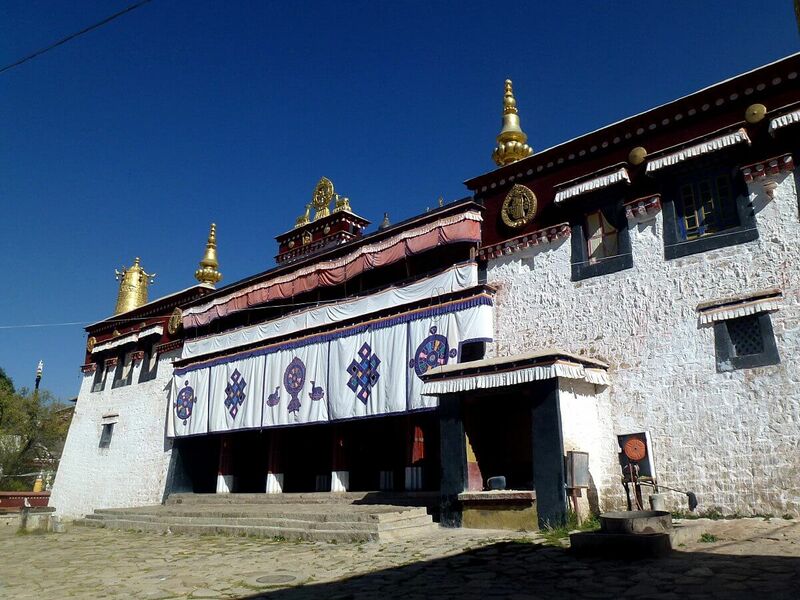 For anyone selfish or unthinking enough to take a vacation to Lhasa its likely they will join a tour to Sera Monastery just north of the Tibetan capital. There they can see monks enjoying Buddhist debate, marvel at the traditional architecture and absorb the peaceful environs at which Buddhism is flourishing. Meanwhile behind that staged show of supposed cultural freedom a darker reality exists for Tibetans, although you would not come into contact with that during your tightly controlled and monitored time at Sera. We wonder how such tourists would feel about their Tibet trip had they been in attendance at a March 13 meeting in Sera during which a panel of Tibetan collaborators (Lhakpa Tsering ‘Lhasa, Monastery Management Committee Director’, Tsetan Dorje, ‘Manager Sera monastery’ and Jampa Kelsang, ‘Media and Education Committee Director’ Sera Monastery) addressed some three hundred monks. 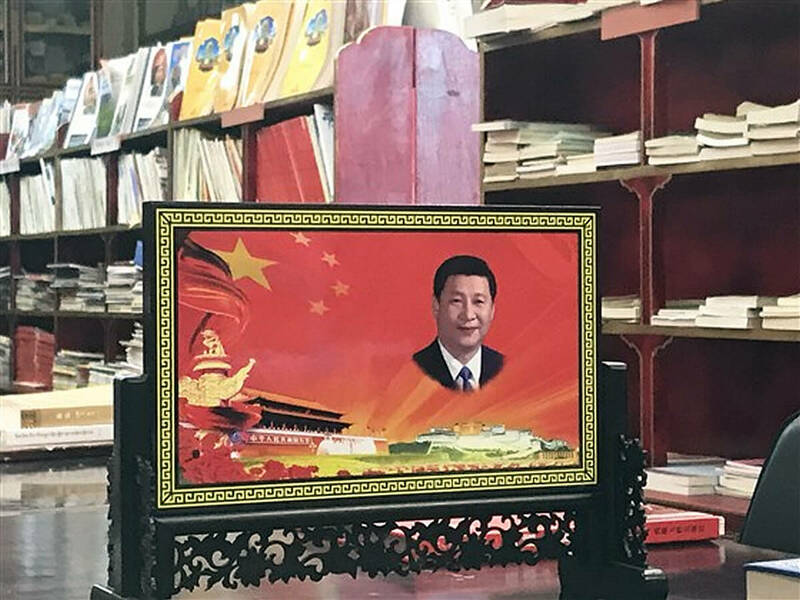 Insisting that they should “… feel grateful to the Chinese government and show their loyalty to the nation by obeying the country’s laws,”. 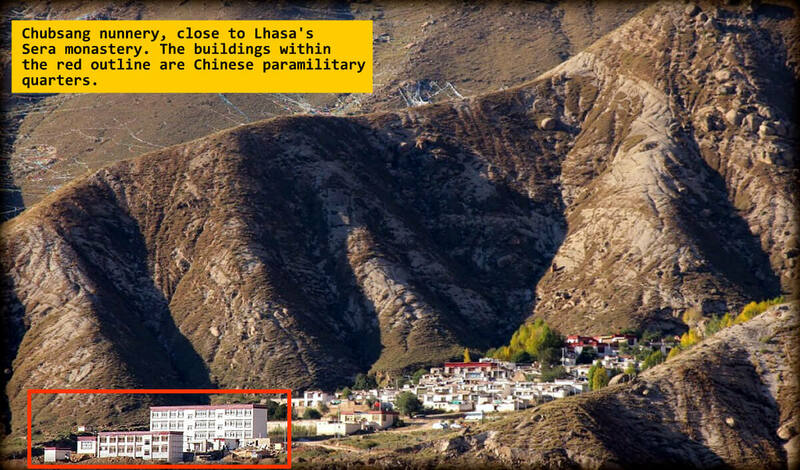 Surrounded by Chinese paramilitary police, security officials and ‘management’ staff the monks were ordered to stand against what was described as ‘sepratism’. They were also warned of a series of prohibitions regarding online activity, including posting any information the regime considers sensitive. The meeting concluded with an exultation ‘re-pay China’s generosity in Tibet and demonstrate loyalty to Beijing and love for the top leadership of China’s ruling Communist Party.’. Sera monastery is in truth no longer a center for Buddhist learning, like monasteries across Tibet it is an indoctrination facility, placed under a suffocating control by the thought-police of the Chinese regime. 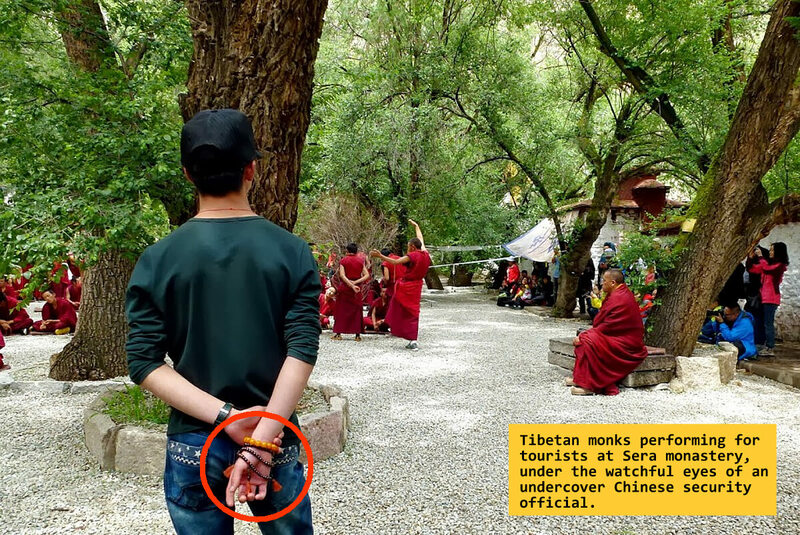 Sera monastery is effectively a prison in which its Tibetan Buddhist inmates are under 24/7 surveillance and forced to perform for tourists. 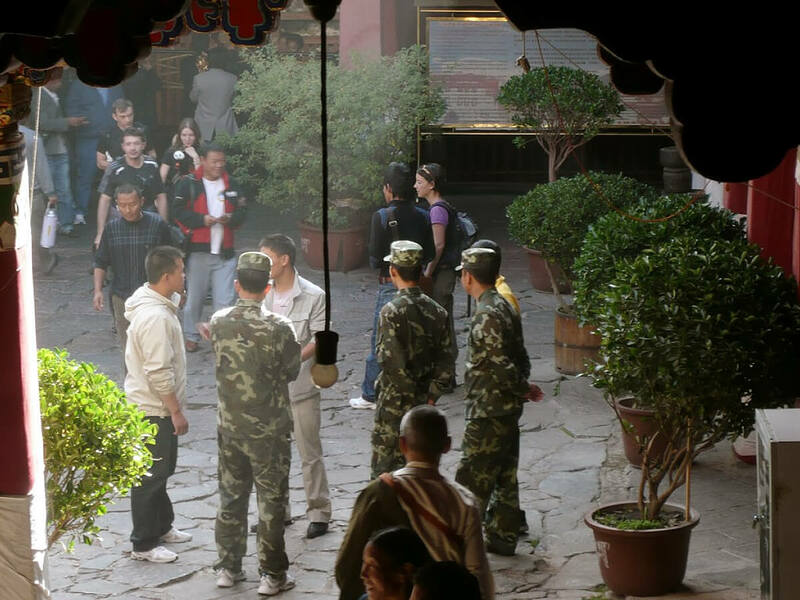 It also has another function, one that exploits the wonderment, gullibility and ignorance of those who travel to Lhasa for an exotic vacation. It’s calculated and tightly controlled illusion of a thriving Tibetan Buddhist culture is an important propaganda tool to manipulate and deceive.